For those who live or travel to the western portion of the United States, wildfires are a fact of life. Before humans roamed the Earth, natural events such as lightning strikes and volcano eruptions caused wildfires to rage across wooded areas and grasslands. 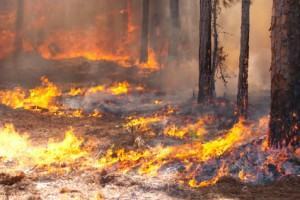 Today, human caused wildfires only add to the number of burns each year. Though not entirely bad – they can help to regenerate and revitalize certain habitats – wildfires certainly pose a risk to human health. If you’ll be camping or staying in an area prone to wildfires soon, use these safety tips to handle the event safely and practically. 1. The most harmful aspect of wildfires for humans isn’t the fire itself. Much like fires that occur in more densely populated areas, it is the smoke that does the most damage to human health. Wildfires consume a ton of dense, rich vegetative fuel as they burn – putting off plume after plume of thick, heavy smoke. Obviously, this doesn’t bode well for the respiratory system if inhaled. The California government recommends to its citizens that they stay inside if a wildfire is burning close enough to pollute their air, but not close enough to threaten their homes. This advice is applicable to campers and outdoor adventurers as well. Though it is certainly a downer, staying indoors is the best way to ensure your safety. 2. If you’re at a campsite without access to emergency alerts, smoke should be your cue to evacuate. In areas where wildfires burn, they sometimes become so prevalent that the ones burning away from residential areas aren’t kept track of. Western states often have several different wildfires burning at once. Therefore, it’s important that you err on the side of caution when camping in areas prone to them. If you see or smell abnormal amounts of smoke – no matter how distant on the horizon – it’s wise to leave as soon as possible. As mentioned before, even limited exposure to smoke can be surprisingly harmful to your health. 3. If possible, find a way to access information. Whether it means turning on the radio in your car or talking to other campers nearby, your closest ally in a wildfire situation is information. Because of rapidly changing wind and weather conditions, wildfires can change size and direction very quickly. By keeping up to date with the latest information, you’ll be able to respond to the evolving situation nimbly. Though they’re often completely natural occurrences, wildfires sure can throw a wrench in the lives of homeowners and campers alike. But with the right strategies and responses, you’ll be able to preserve what’s truly important – the safety of your family, your friends, and yourself. Great Information! I’d hat to be caught in that situation though. Here’s hoping to stay away from fires! On a similar vein to this article, I have written an article about bird safety. Would you consider posting it on your blog? I’ve tried you contact form but thought I’d try here.